This is going to be a very short post this morning. A busy day ahead and slightly tired from dancing the night away at a Christmas party last night!! 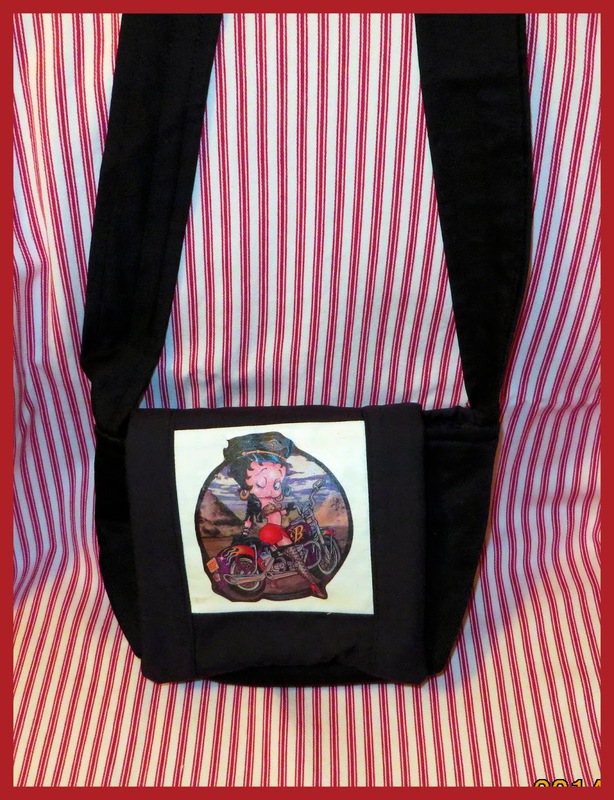 This Betty Boop Small Messenger Bag is a Christmas gift for my best gal pal who rides a motorcycle. She's gonna love it! With the magic of HP transfer paper and a graphic of your choice, you could make all sorts of lovely, personalized bags for your best pals. Earlier this year, I posted a tutorial for a messenger bag you can sew in a couple of hours. You can find it here.